By June 1887 Queen Victoria had reigned for 50 years. She was, at that time, the longest reigning monarch and the figurehead of a vast Empire so people up and down the country wished to make this a special occasion. 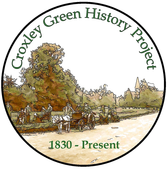 Very little is recorded about celebrating official events in Croxley Green prior to this but the parish, albeit small at approximately 1,500 people, put on a grand show (according to the West Herts Post newspaper dated 24th June 1887). The Green was decorated with flags and ‘evergreens’ in preparation for the day’s events and a thanksgiving service was held in All Saints Church at 11.30. This was concluded with a fervently sung National Anthem. Mr George Stone, tenant farmer of the Orchard adjacent to Parrotts Farm on The Green (forever known as ‘Stones Orchard’), made the orchard available for residents including the children who partook of a ‘substantial meal’ (most probably lunch). During the afternoon and evening a grand village fete was held and, at 3 pm, fifteen babies were entered into a Baby Show for the most neatly dressed baby wearing homemade garments. Various sports took place including the under 14 boys 100yds; sack race; obstacle race; one mile flat race and jingling race. A jingling race is an old fashioned game of ‘Blind Man’s Bluff’ in reverse where a blindfolded team tries to catch ‘the ‘jingler’ who is wearing a costume covered in bells. Girls under 16 took part in a skipping race, egg and spoon race, donkey race, wheel barrow race and a less active blindfolded race. 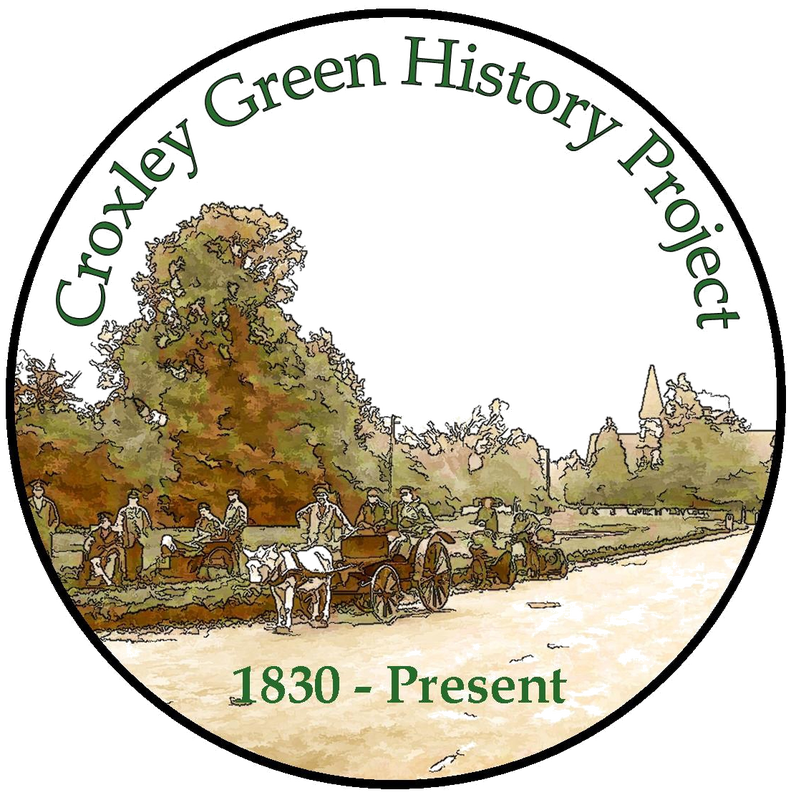 There was tug-of-war between the men employed at Croxley Mill and Croxley Green (others). Men over 40 were given the challenge of a tug-of-war between two departments from Croxley Mill: Paper Makers and Engineers. There were various other pastimes and amusements available to entertain the large number of people assembled. A band played during the intervals between the sports events. Prizes were awarded by Mrs Woolrych of Croxley House outside on the lawns. A Jubilee medal was given to all the school children as well as all the competitors in the Baby Show. This was followed by a short address by the Vicar of All Saints Church, three hearty cheers for the Queen and the singing of the National Anthem before everyone dispersed homewards. Later that evening a firework display concluded the festivities. Residents made generous contributions towards the day’s celebrations by donations amounting to £115 as well as gifts of beef and ale.